Paniliakos is busy preparing themselves for the new season. The team has started training for the new season some two weeks back and are ready to play in their first friendly game against rival Limnochori. The match will be held in Syntriada. Paniliakos players have been undergoing intense preparation in order to prepare themselves both physically and technically. The coach said that some players need a personalized training plan while others have been training with the team. The personalized training sessions are mainly for players that are recovering from injuries or players that have special needs. Canada is back in the race to win a gold medal in the women’s football event at the 2016 Rio Olympics. They defeated their French opponents by a lone goal in a keenly contested match on Friday, August 12m 2016. Canada reached the top three in the last Olympics hosted in London after defeating France 1-0 at the semi finals to pick up the bronze medal. This year again, the Canadian women repeated the same feat but on a lower rung by getting past them by the same margin to reach the semi finals. The higher-ranked French opposition hoped to pull a revenge at the quarterfinals, but it quite happen. Michael Skibbe reckons the Sky-blue white can’t take as long to come to full flow as they took during the first game of their OZ visit in which they got defeated by one goal by the hosts. The coach, a native of West Germany, has called for more rush from his players from first minute itself as the action shifts to Melbourne. The group stage of the Euro 2016 hosted by France has ended, but speculations about who might lift the trophy have increased. The likely winners were picked out earlier but after the group stage, the tournament shows it is still very open. There was a time an underdog came from behind to steal the trophy. Greece at Euro 2004. Greece and Australia won each leg of two friendly games played. The Socceroos defeated Greece 1-0 in their first friendly on the back of a 94th-minute Mathew Leckie strike. On the other hand, Greece returned the favour with a 2-1 victory on Tuesday at the Etihad Stadium. In the upcoming Dodoni Series, Caltex Socceroos’ clashes with Greece and it will be made more fun for ex-Australian star Chris Kalantzis. The former Paniliakos defender, Nikos Karampelas has signed for Valladolid on a 6 months contract from Levante. Nikos Karampelas made his debut with his hometown side Paniliakos in the Beta Ethniki in 2004. He will make 48 appearances for Paniliakos and scored 2 goals in the process. His good performance with Paniliakos attracted the interest of other Greek clubs, and two years later he signed for Aris. However, he will miss a penalty in a 0-0 draw against fierce rivals PAOK and will receive threats from his club’s fans. 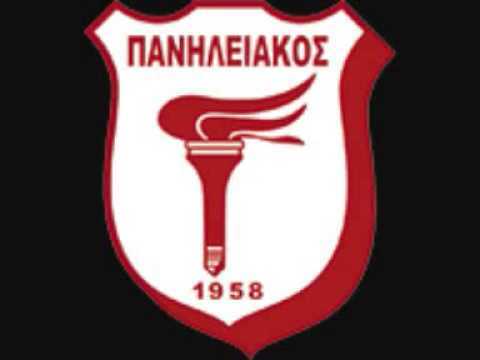 Paniliakos is a Greek team that was founded in 1968 by the coming together of four different teams namely Ethnikos, Iraklis, A.E.K., Apollon. Due to poor results the team has gradually been relegated to the lower tier of Greek football. Olympiakos have won their 6th successive league title with a dominating season that has seen the team of Marco Silva winning 22 matches from their opening 24 games. This is the 43rd piece of silverware that Olympiakos has secured in their history and even though this season has already been very successful for the Greek club, the manager of the team has revealed that he is aiming to win more titles as things are far from over. The fans are expecting Michael Skibbe to bring as much success to Greece as his compatriot Otto Rehhagel did. Rehhagel proved to be one of the best coaches in the history of Greece soccer before quitting in 2010. He worked with the national side for a period of almost 10 years and unearthed many young talents and not only did he unearth them; but, developed them quite well too. There would be a lot of Greek players who would say that they owe their careers to that legendary coach. But, since the time Rehhagel left, the Greek association has struggled to find another one like him.